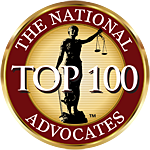 We focus on representing clients in Family Law and Criminal Law cases. Fisher Law Group is a small client-centered law firm with over 30 years of experience in the area of Juvenile Law. The attorneys at Fisher Law Group are dedicated to passionately protecting your legal rights. We will support you through times of crisis and stress while providing you with a voice during these trying times. Our small firm setting enables us to tailor our services to meet your personal needs. Each of our attorneys is well equipped to handle a variety of legal matters, ranging from challenging Juvenile Law issues to related collateral concerns. Located in Charlotte, North Carolina, Fisher Law Group began as the vision of Nicki Fisher with the goal of creating a client-centered law firm focused on providing caring, thoughtful legal representation to help our clients reach their goals in order to take control of their lives.